Did you know that fires could be good for people and the environment? In fact, some ecosystems need periodic fires to stay healthy and, when left in their natural state, would burn every few years. These burns, usually the result of a lightning strike, would help recycle nutrients back to the soil and promote the growth of trees, wildflowers, and other plants. Human intervention prevents this natural cycle of periodic burns and regrowth. But ecologists have developed methods to create smaller prescribed burns as a natural way to improve critical habitats. Between February 1 and March 10, 2017, weather permitting, two areas in Gulf State Park, spanning roughly 124 acres, will undergo a prescribed burn as part of the Park’s ongoing longleaf pine restoration. 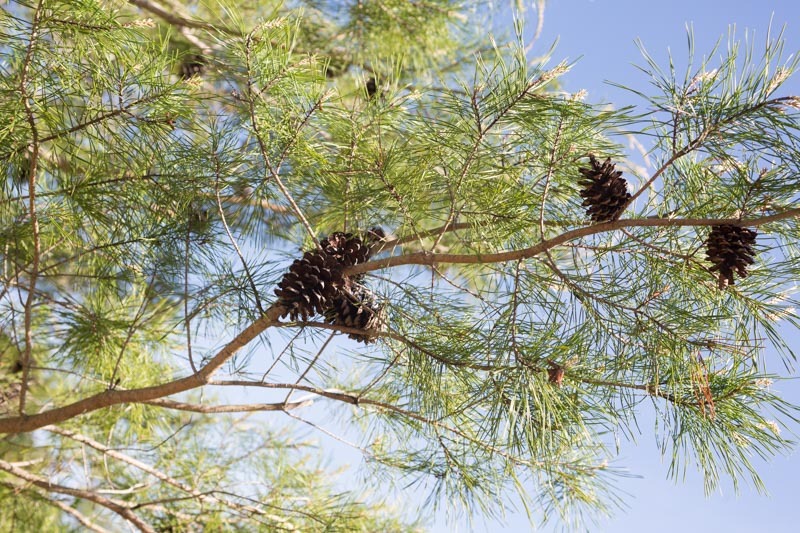 As recent research has proven, fire is necessary for a healthy longleaf pine ecosystem. Fires help clear out undergrowth and allow saplings to thrive. And because this habitat evolved with constant fire, the longleaf pine is especially resilient with thick bark that prevents the tree from burning. The longleaf pine ecosystem isn’t the only habitat that will be improved from the planned burn. The burn area also includes pitcher plant bogs that need fire to thrive. Fire helps to maintain an open, sunny habitat by clearing out understory plants. Without periodic fires, trees and shrubs will shade the sun-loving pitcher plants, causing the bog habitat to decline. There are other benefits to the prescribed burn too, like removing invasive species and reducing combustible materials that can become fuel for wild fires. While the immediate effects of a burn might appear devastating, the plants and animals in the burn area are quick to recover. By improving these ecosystems in Gulf State Park, the habitat for the gopher tortoise and indigo snake, both threatened species, will also be improved. 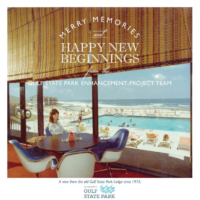 Happy Holidays from the Gulf State Park Enhancement Project Team! For Lodge employment opportunities, meeting space requests, or room reservations, please call 251.540.4000 or click the button below. Join our mailing list to be notified when additional project details are available.